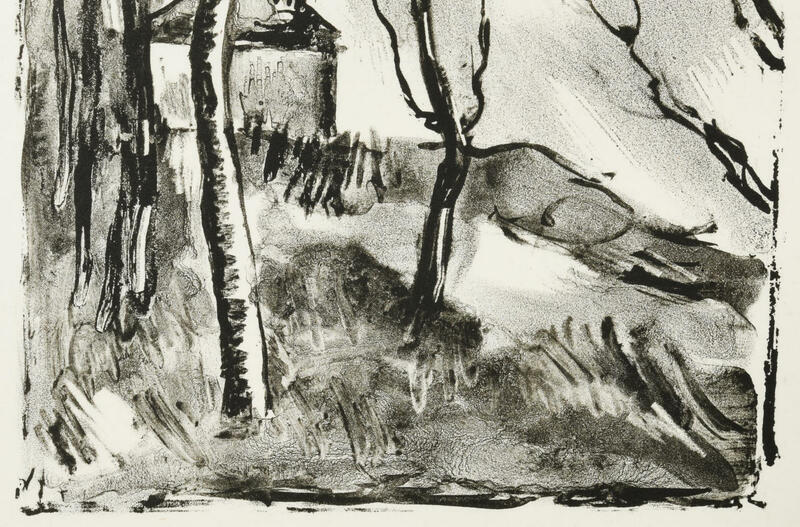 Three (3) French prints, de Vlaminck, Lepere, and Laurencin. 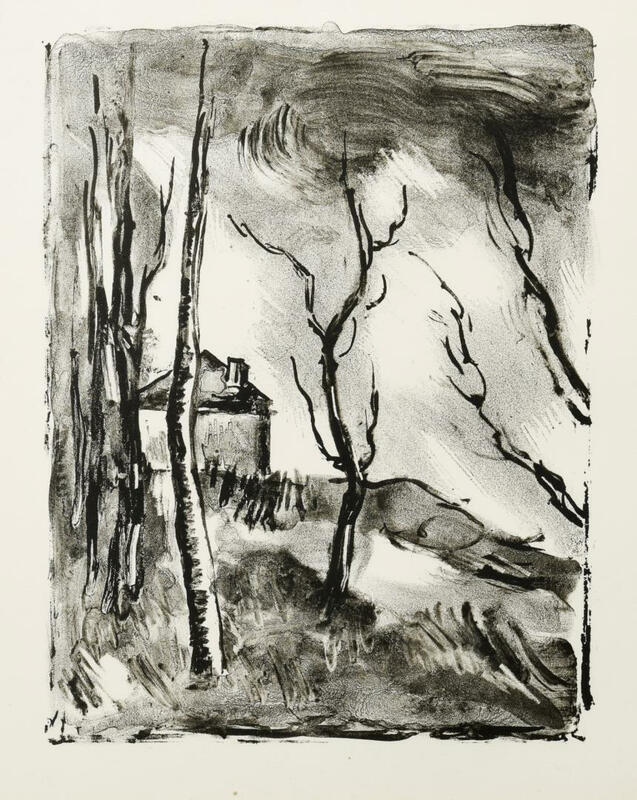 1st item: Maurice de Vlaminck (French, 1876-1958) lithograph titled "Mount Cinere", 1930, Plate VIII, with Edition Jeanne Walter watermark. 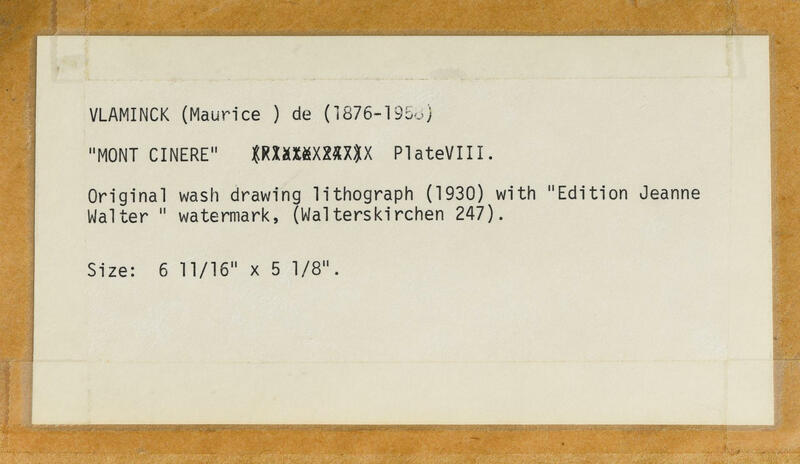 Defenderfer's, Oak Ridge, TN, gallery label en verso. 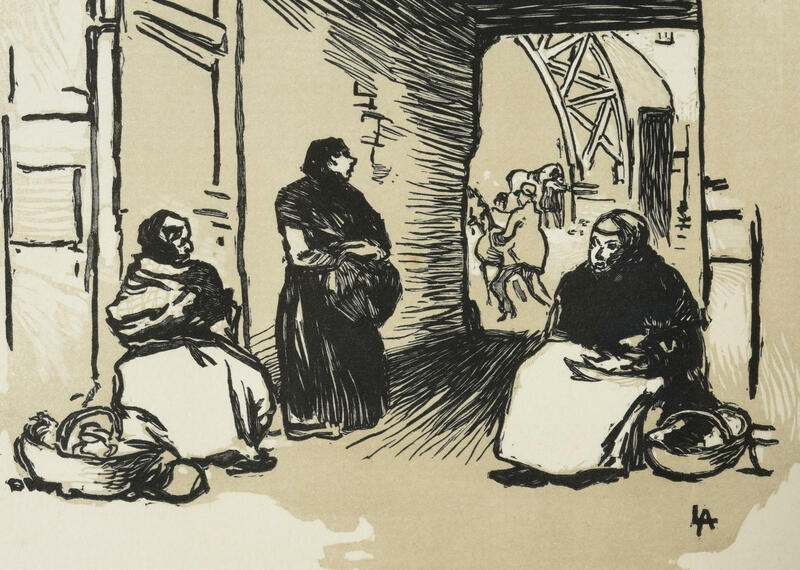 Housed in a dark wooden frame. 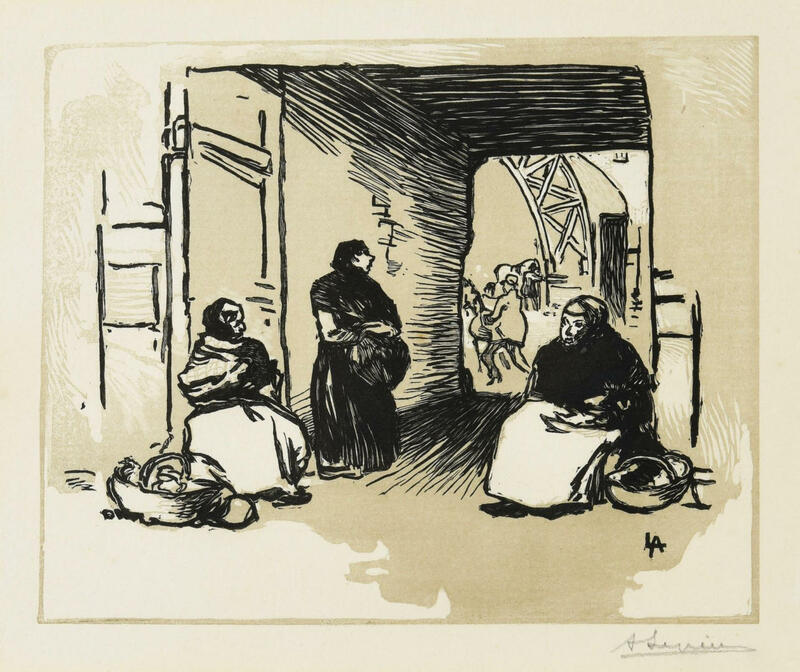 Image – 6-1/2" H x 5-1/8" W. Framed – 14-1/8" H. 2nd item: Auguste Lepere (French, 1849-1918) wood engraving in color on laid paper titled "Marchand au Panier", ca. 1890. 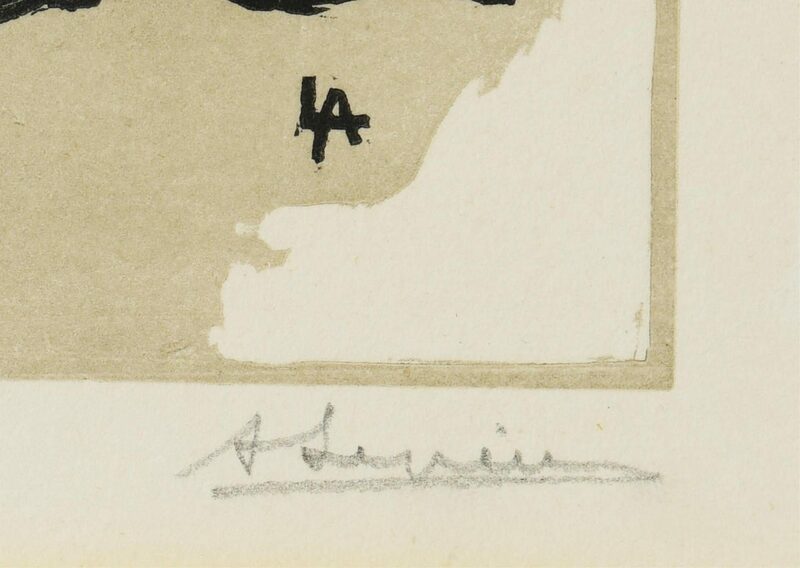 Signed "LA" in plate, lower right, signed "A Lepere" in pencil, lower right under image. 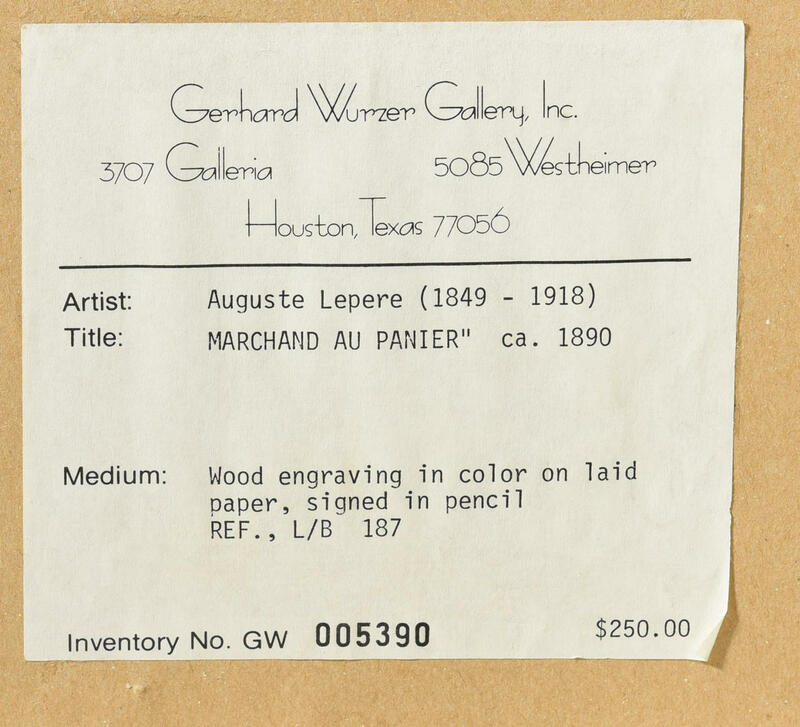 Gerhard Wurzer Gallery, Inc., Houston, TX, gallery label en verso. Housed in wooden framed painted silver. 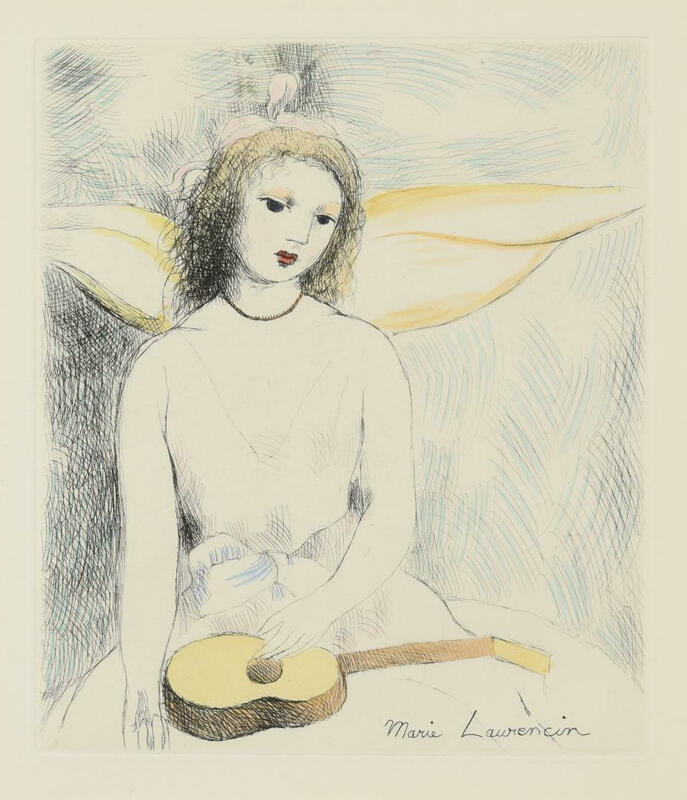 Image – 4-3/4" H x 6" W. Framed – 13" H x 13-5/8" W. 3rd item: Marie Laurencin (French, 1885-1956) colored etching titled "Girl with Guitar". 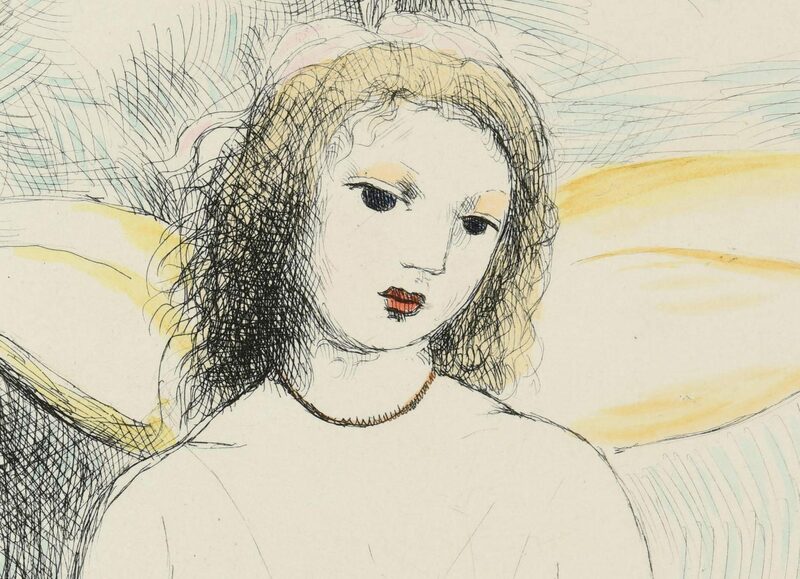 Signed "Marie Laurencin" in plate, lower right. Housed in gilt frame. 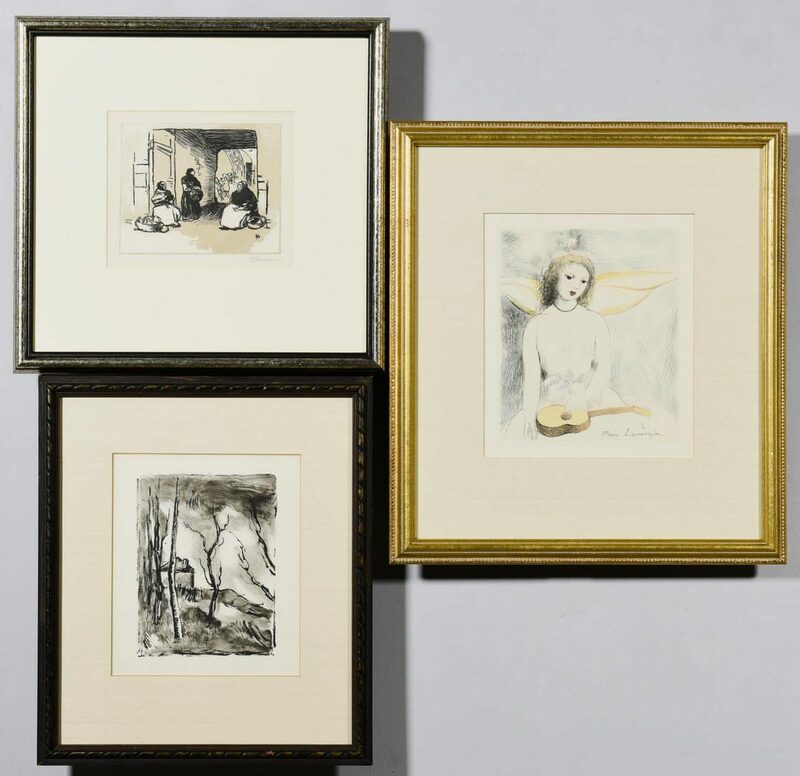 Image – 7-3/4" H x 6-3/4" W. Framed – 16-1/4" H x 14-1/2" W. CONDITION: All in excellent condition.